Get yourself some style quick when you wear Stacy Adams lavende alligator print leather dress shoes with your suits and dressy clothes. Stacy Adams never makes shoes that will put you asleep and are always fun to wear. 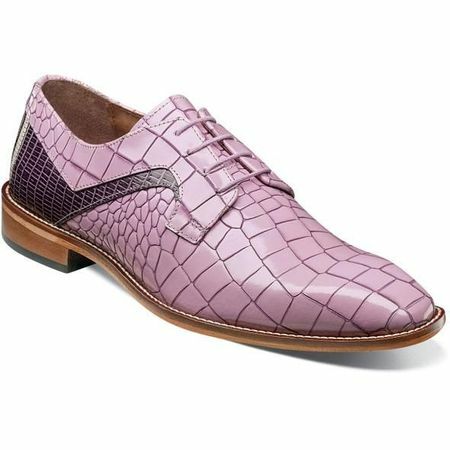 These fine looking lavender color dress shoes are made of an alligator texture leather with a pattern texture leather uppers and have comfortable memory foam insoles to cradle those feet of yours in style.